The 2015 earthquake in Nepal devastated the homes, schools, and livelihoods of thousands of people. 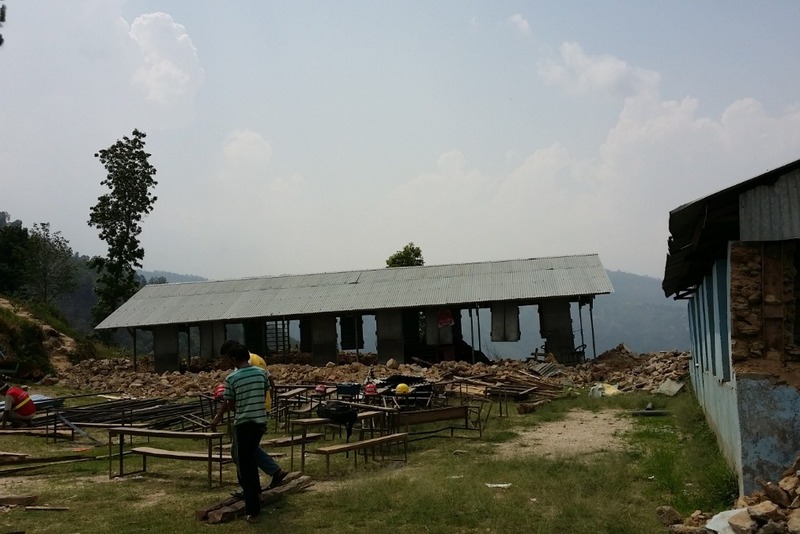 The Kavre Dwarpaleswor Lower Secondary school in a rural village outside of Kathmandu was destroyed, halting the education and development of 300 children who travel for 90 minutes to and from school every day. 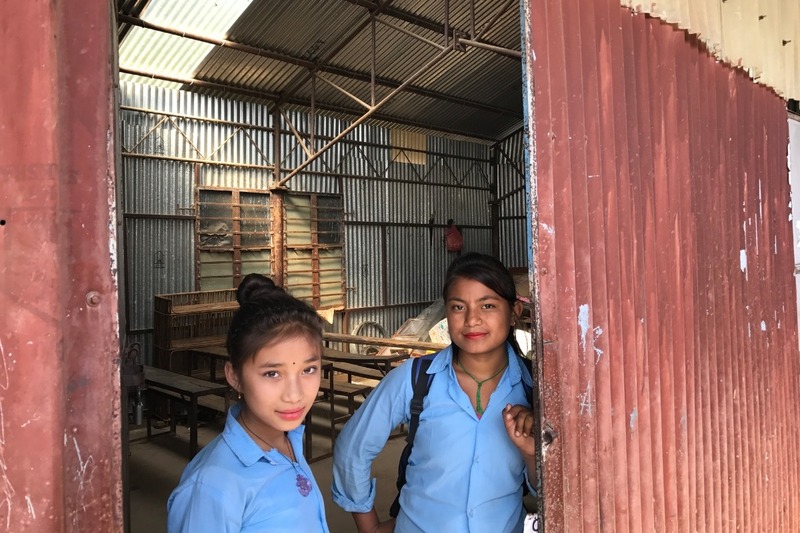 Locals came together after the earthquake to construct temporary structures to keep the school running, but a long-term solution is necessary to build resiliency within the community. With your help, we can sustainably rebuild this vital community resource and provide a safe learning and gathering space for generations to come. The first phase of five classrooms on the lower level is nearing completion, but more funds are needed to complete the remaining classrooms on the upper level, the waste and sanitary facilities, kitchen, and library. The site has been studied and designed with sustainability in mind: using local materials and resources for building, renewable energy for power, terraced landscapes to prevent erosion, and zero-waste management strategies that will be used in conjunction with a neighboring farm. 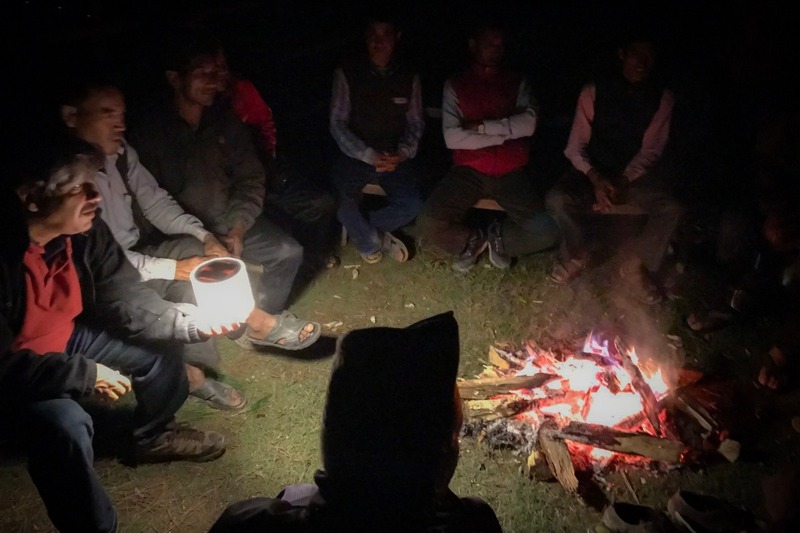 The project is also supporting the local economy by employing a Nepali construction company, Rammed Earth Solutions, for the building construction and exposing the community to new ways of creating and sustaining place. The provision of sanitary facilities is extremely important for the development of female education, as girls are often forced to stay at home during menstruation due to lack of proper facilities. Only 66% of adolescent girls in Nepal are actively attending school, and Nepali women are only 65.7% as literate as men (Unicef Statistics). This inequality in educational attainment can be mitigated by providing a clean, central space for girls to address their needs without missing school. 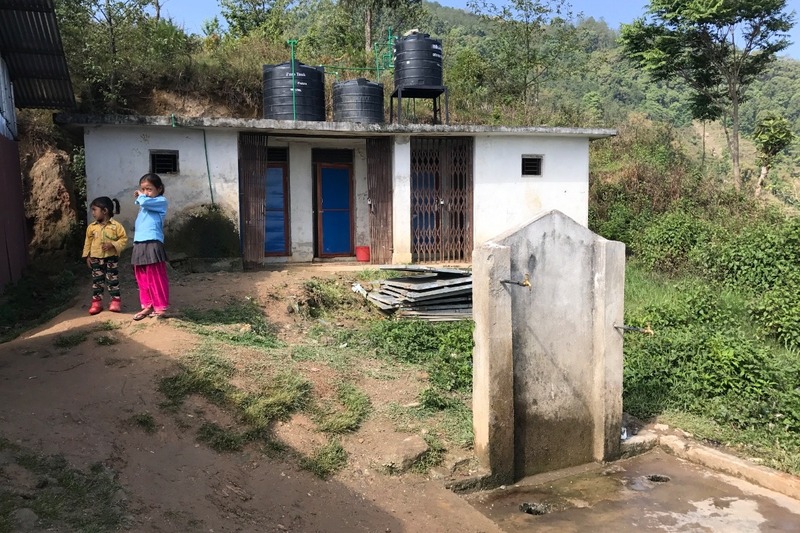 In addition to girls, many children in the villages surrounding Kavre School do not have access to plumbing and sanitation at home, and clean, modern sanitary facilities at school is vital to their health and development. In addition to the educational use of the new school, the buildings will also function as a gathering place for the community to hold meetings and events, as there is currently no other central public space to do so. 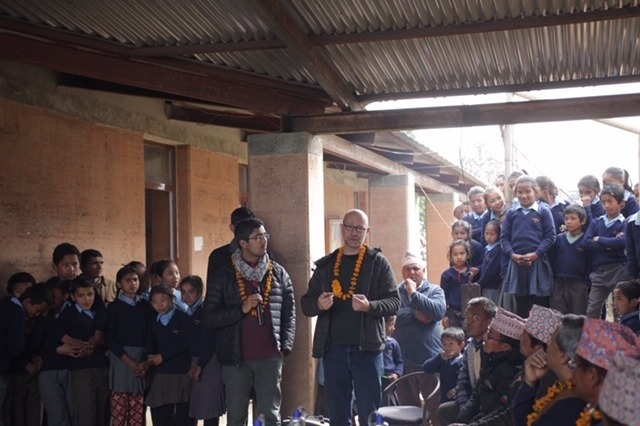 The school will also serve as a pilot project for rammed earth construction of buildings in rural Nepal, where winding mountain roads make vehicular transport of materials difficult. 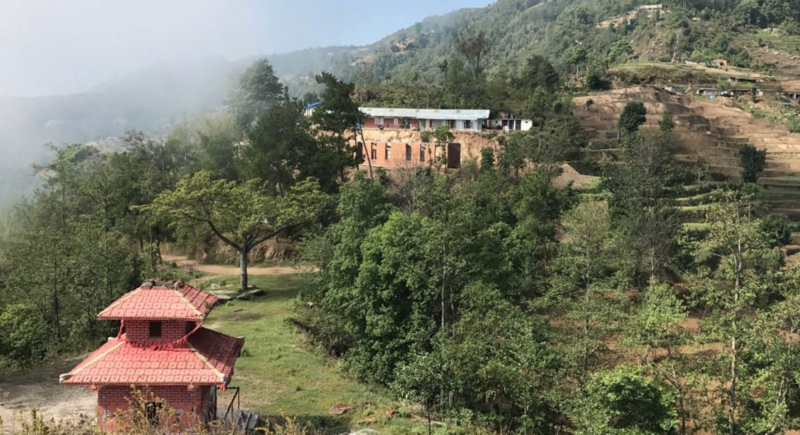 Kavre School is being constructed using sustainable site strategies and locally-sourced rammed earth, which is a material made of local clay, soil, and cement, rendering it earthquake proof. The school will be powered by solar panels mounted on the wide gabled roof that provides shelter during the monsoon season. An anaerobic digester will process the human waste from the new toilet facilities into fertilizer that will be used on the adjacent farm. Finally, a terraced gabion basket amphitheater will support the integrity of the landscape by preventing erosion and also act as seating for outdoor performances and meetings. We need to raise $50,000 to pay for materials and labor to finish construction of the upper school. Any donation you make will go towards improving the quality of life and education for the children and families of this courageous community. -Your contribution will directly impact the lives of young women who will no longer have to stay away from school once a month, increasing their social and economic opportunities. -Your contribution will provide clean and modern sanitary conditions for the entire community who uses the space, improving health conditions and limiting the spread of infectious diseases and premature death. -Your contribution will increase the visibility of rammed earth as a sustainable building material that can prevent the devastation and loss of life caused by earthquakes in this region and beyond. -Any additional funds raised will go towards the completion of the school and any furnishings and supplies needed. 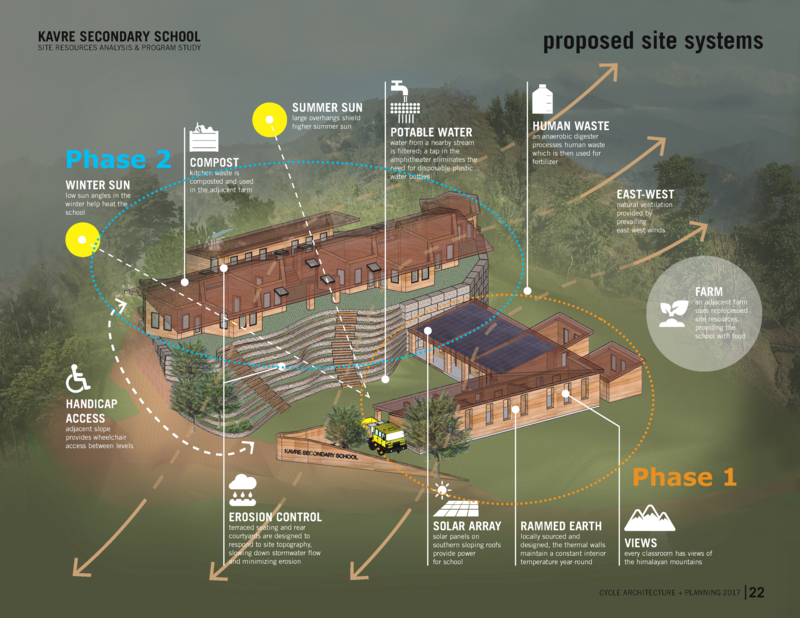 For more information, and to download the Kavre School Master Plan, visit https://www.c-ap.net/kavre-school/ and sign up for the email newsletter to receive updates on the project. 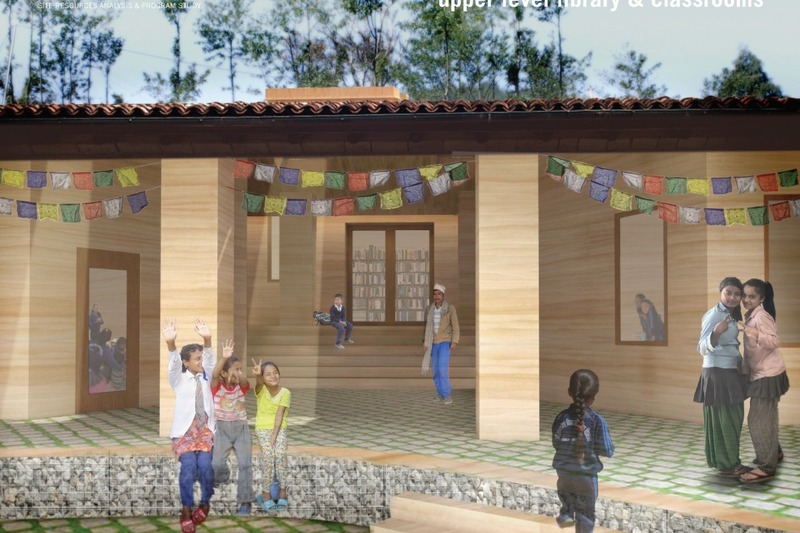 This campaign is an effort led by Kids of Kathmandu with pro-bono assistance from Cycle Architecture + Planning and Arun Rimal of the Office of Structural Design. Members of the Rebuild Kavre School team at the stone laying ceremony, marking the beginning of Phase 2 construction!